PyImageConf – Computer vision, deep learning, and Python conference. San Francisco, CA. August 26-28 2018. The practical, hands-on computer vision, deep learning, & Python conference. A practical, hands-on conference featuring computer vision, deep learning, and OpenCV experts. Brought to you by Adrian Rosebrock from PyImageSearch.com. Get hands-on training at our workshops. You won’t find a more hands-on computer vision and deep learning conference. I guarantee it. PyImageConf was created by myself, Adrian Rosebrock, of PyImageSearch.com. My goal is to take the practical, real-world online learning experience of PyImageSearch and apply it to a live event. The conference will take place at the Hyatt Regency in San Francisco, CA on August 26-28th 2018. But be sure to sign up on the waitlist now. Tickets will be going on sale in a few weeks and they won’t last long! Best of all, all talks will be practical and hands-on. By the end of each day you’ll be able to take the techniques you learned and apply them to your projects that very night. PyImageConf has put together the biggest names in computer vision, deep learning, and OpenCV education to give you the best possible live, hands-on training and talks. Each speaker is respectively known for their writing, teaching, online courses, and contributions to open source projects. If you’re looking for a computer vision/deep learning conference with the foremost educators and speakers, this is it. Author and creator of PyImageSearch.com. Dr. Adrian Rosebrock is the author and creator of the popular computer vision blog, PyImageSearch.com. Artificial Intelligence Researcher at Google, author of Keras deep learning library. AI researcher at Google. Author of Keras deep learning library. Works published in CVPR, NIPS, ICLR, and others. Image analytics team lead for Planet Labs. Former co-founder of Tempo Automation and Sight Machine. Author of dlib library. Machine Learning/Computer Vision/NLP. Open source developer. An engineer, open source developer, creator of dlib, and practitioner building CV systems in industry for over a decade. CTO at Tryolabs. Expert at implementing + training Faster R-CNNs. Co-author of Luminoth, open source toolkit for Computer Vision. Deep learning practitioner. Object detection expert. Research Engineer at Tryolabs. Object detection expert. Co-author & Lead Research Engineer of Luminoth, open source toolkit for Computer Vision. Author and creator of LearnOpenCV.com. Co-founder of TAAZ Inc.
Dr. Satya Mallick is an entrepreneur working in CV and ML. He loves teaching and recently launched his 1st online course. Author of 6 computer vision/OpenCV books at Packt Publishing. President at Nummist Media. Joseph Howse writes books on computer vision and provides consulting services through his company, Nummist Media. Adam is the author of "Machine Learning is Fun!" blog series and a developer that loves building products with ML and CV. Econometrics wizard, Raspberry Pi hacker, computer vision practitioner. Jeff studied econometrics in graduate school and has been writing code in stats, economics, and biotech for 35 years. The conference will consist of both talks and workshops. Below you can find the tentative conference schedule. The finalized schedule will be released as the conference draws closer. On site registration will be available beginning at 6:30 PM in the Hyatt Regency atrium. 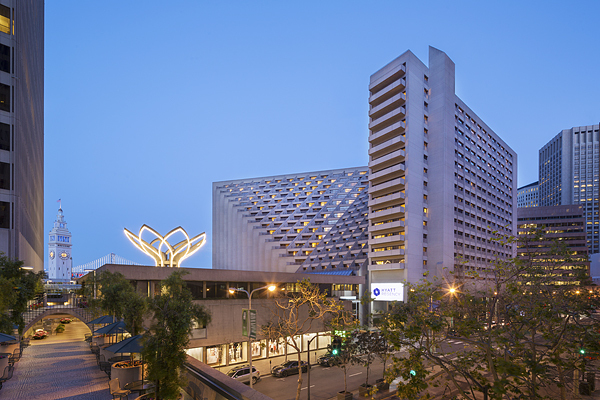 After registering, join us for the Opening Reception at the Hyatt Regency. Free (alcoholic) drinks will be served. No food is provided, so please eat prior to the reception. Doors to the Grand Ballroom will open at 8:30AM. If you missed the Opening Reception you can register on site beginning at 8:00AM. Image detection technology has come a long way in the last few years. The latest image segmentation models like Mask R-CNN not only detect the locations of objects in images, but they can draw outlines around objects and even separate out overlapping instances of objects. In this talk we'll start by learning about image segmentation and how the Mask R-CNN model is architected. Then we'll look at a project that counts lines of people in a live video stream using image segmentation. Next, we'll check out how to train a custom image segmentation model. Finally, we'll talk about the impact that image segmentation is having on the mapping industry and how it's helping nonprofit agencies in Africa reach people more effectively. In this talk, we will provide a glimpse into the variety of real world applications in CVML that we (Big Vision LLC) have solved for our clients. Computer Vision is much more than importing your favorite library and training a model. Real world problems are messy with noisy inadequate data. Usually a combination of techniques is required to solve a problem. Sometimes you can generate synthetic data to solve a challenging problem. At other times a solution involves physics, geometry or even additional hardware. In this talk I will survey a range of object detection algorithms, discussing their strengths, weaknesses, and the practical details you need to know to get them working in real applications. The talk will begin with an introduction to the very simple but popular HOG+SVM object detection algorithm. Many of the basic features of this algorithm appear in more advanced techniques, so having familiarity with it makes understanding the design decisions in more complex algorithms much easier to understand. From there we will survey other algorithms such as CNNs, regression trees, object saliency methods, and the Hough transform. I will discuss what these things do, why you should care, and how you can use them in your processing pipelines. Finally, practical advice for training detectors, how to construct good training datasets, and what to do when it's not working will be discussed. This talk will also serve as the introduction to the following day's workshop which will go into these topics in greater depth as we work through example applications of these techniques in Python. Computer vision can help manage a farm. This talk describes a computer vision pipeline distributed across 15 Raspberry Pi and Mac computers. A distributed pipeline allows each computer to do what it does most effectively. A Raspberry Pi can take pictures with the PiCamera and adjust camera settings, control supplemental lighting, crop, flip, grayscale and threshold images, as well as detect motion. A Mac can store and index images from many Raspberry Pi computers simultaneously and can perform more complex image processing like reading the changing digits of the water meter or using image classification to label a coyote or a raccoon in an image stream. This talk will share project design details and lessons learned along the way, as well as provide fun tips about PiCameras and sensor hardware. Join us at the Hyatt Regency for drinks, networking, and socialization. Doors to the various workshops will open at 9:00AM. 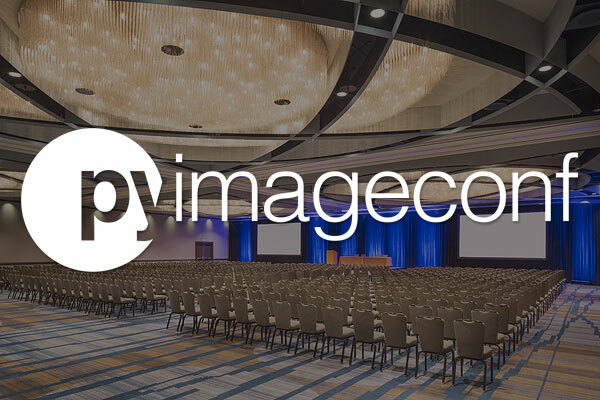 Join us at the Hyatt Regency for drinks, networking, and socialization as we wrap up the very first PyImageConf. 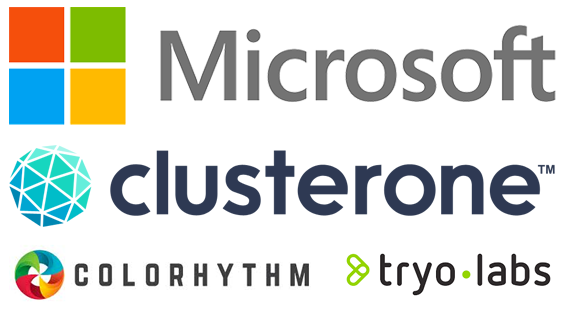 Microsoft is sponsoring PyImageConf 2018 and providing (free) pre-configured deep learning + GPU instances in the cloud for attendees to train their own models during talks and workshops. If you are interested in sponsoring PyImageConf, please send Adrian Rosebrock a message using this link. PyImageConf has spared no expense. 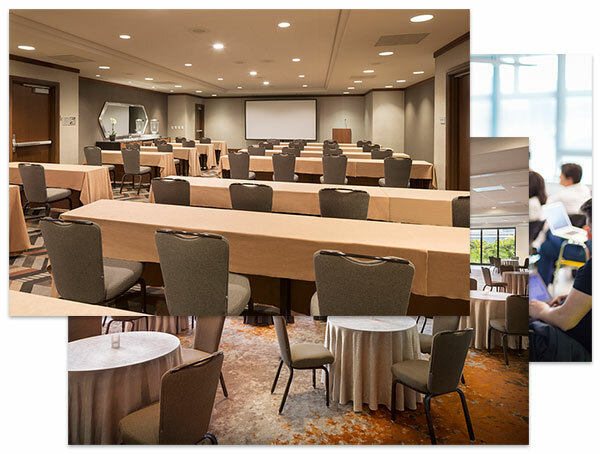 Enjoy the beautifully remodeled San Francisco Hyatt, exquisite state-of-the-art ballroom, reliable high speed WiFi, and an unparalleled computer vision & deep learning event. Take a look at the photos below to get a sense of the space.